Following the review from Philly the butthurt was widespread. It’s a tradition around here to follow poor reviews with over the top and at times completely unwarranted praise for the greatest musicians that ever lived, playing in the greatest band that ever existed. I will try my best to provide nothing for anyone to get upset about during the course of this review. I will only deliver heaping helpings of abundant “family” kindness regardless of the reality. I hope you’ll be comforted by this review and refer to me only as “Kind Grateful Brother” from now on. Away we go! Sunday night in Boston was the most amazing night in History. It was much more significant than trivial things like the birth of Christ. The weather was so beautiful that people had tears of joy coming from their eyes as they walked into the perfectly chilled wind. Security guards passed out vapor pens at the gate instead of confiscating anybody’s narcotics. I’m not sure if it’s just me but it seemed as though everyone in the crowd used fabric softener while drying their clothes. The fans all smelled extremely fresh and not a single person had knots in their hair. Nobody had to deal with static after removing their woolly sweaters. There were no lines to get in and nobody said anything that was stupid! You could tell right away that this was going to be the greatest show that Dead & Company ever played! When the lights went out, the band wasted no time going straight to church when the drummers started pounding out the intro to Samson and Delilah! Mickey was so loud his drums altered my heartbeat and it became synchronized with the song. Weir belted out every line like he was stronger than Samson himself! When it came time for solos, Mayer began shooting notes from his guitar like a machine gun and it was so fast I had a hard time keeping up while dancing. The Dire Wolf was so incredible that all of the gang members in Chicago put down their guns while the song was playing. There were zero shootings during Dire Wolf anywhere in the world. Then yesterday it rained and today it was cold and they played Cold Rain and Snow! That was like the most far-out thing that ever happened in a first set ever! I thought for a minute that it couldn’t get any better but boy was I wrong. LOSER! It had to be ten times better than the Loser from Albany in Spring of 90. Then out of nowhere, Ready or not! Ready or not! Corrina! Holy Sweet Cheesus I couldn’t believe my ears. When it comes to Here Comes Sunshine, you can forget about Winterland 2-23-74, 11-19-2017 is the new go-to version of this one! John’s voice wasn’t strained and never was out of tune at all! His falsetto was so hot and amazing that several women and 2 men got pregnant just from hearing him sing that one. Move over Veneta, Oregon 72, Greatest Story from Boston has something to tell ya. There’s a new champ in town! Wowzers! This one was so powerful it could peel the paint off of Barlow’s El Camino! I was getting so tired from trying to keep up with the music, my legs were begging me to slow down! It was clearly the best first set of music that a band ever played live. At intermission, a courier delivered an enormous organic fruit basket that was sent from Phil’s wife with a card that read, “I’m so happy for your success and I really miss spending time with each and every one of you! Dotell Burnbaum is doing great on bass! Let’s all get together as soon as possible! Warm Hugs and Wet Kisses, Jill”. I know you might have a hard time believing this but simultaneously, on The West Coast, Carolyn “Mountain Girl” Garcia got together with Deborah Koons and taught her how to make Kief and hash oil from the bountiful Fall harvest while enjoying the stream together! Robert Hunter and John Barlow sent emails to all of the media outlets telling them that they would love to give them interviews to explain The exact meaning of all of their lyrics! It’s so wonderful to be part of Grateful Dead Fam! All of this taking place at the same time pointed to the possibility of John Mayer being the Messiah that the Jews have been waiting for and the return of the One the Christians declare King of Kings. When the lights went out for the second set, everybody shared their space together and the people on the rail gave warm welcomes and made plenty of room for everyone that came to the front row without waiting outside since 4:30 in the morning! There’s no better way to kick off a party than with Chinacat and what a Chinacat it was! 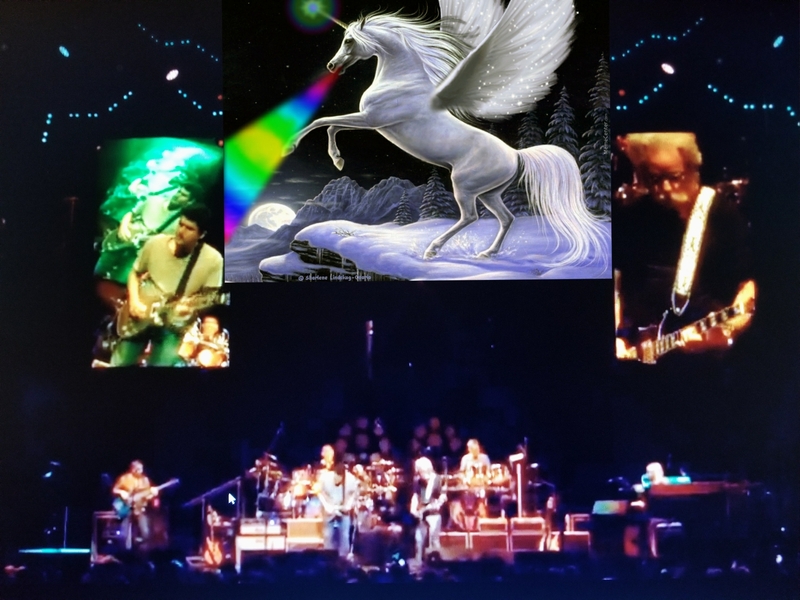 The jams were so incredible that I saw a Pegasus fly through the arena breathing rainbows. It was perfect the way they crashed the Rider into a brick wall and played it slower than Peggy-O! Then Bob sang the greatest Miracle of all time and intentionally left out some of the words so the crowd could sing them! I love when Rock Stars do that! What a kind gesture! Weir couldn’t stop smiling throughout the show! Just when I thought the Awesome Meter was on Full, CASEY JONES!!! I started shuffling my feet like James Brown high on Bath Salts! It was the best moment anybody ever had whether they realized it or not! During the Brokedown Palace encore, I cried until my entire face and most of my chest was shriveled. It was deeper in meaning than any poem ever written. I thought we were gonna go home drenched in our own tears but boy was I wrong! Playin Reprise! Since Donna left the band, I always dreamed of what it would be like if a handsome young man sang all of her parts. Well dream no more my friends, Donna John made all those dreams come true!! When Donna John howled that part in the Playin Reprise, all of the women and the 2 men that were made pregnant during Here Comes Sunshine were relieved of that responsibility and cell development of the neural streak was terminated for everyone’s benefit. It was intentional and magical and nothing that ever happened before was any better than that particular moment! I instantly realized that the half a million dollars that I’ve spent on Grateful Dead related travel, shows and products over the past 32 years were all preparing me for that moment and what a moment it was! It was really the best show ever in the history of people putting together bands and having shows! 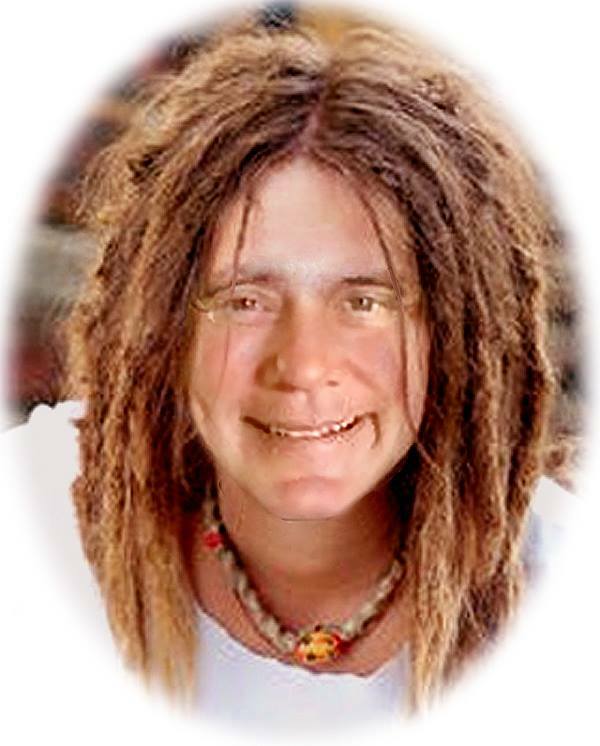 I woke up this morning with dreadlocks it was so good! Love You Long Time! Catch ya later! The Official No Butthurt Boston Review! Ha – love it thanks Dean! I am curious though if others were as stoked with the Morning Dew last night as I was? It sounded like a Europe ’72 Dew, almost too much at times, then seemed like Mayer would add some Mayer cheesy fast blues riffs to shake it up some and not make it seem like DSO doing a ’72 Europe show. Of course Bob’s singing on Dew was touching – a tasteful older mans version of singing and that change up added to making last nights’ Dew just different enough from ’72 to make it an epic one for me!